Color: Midnight Blue Black. Nothing is Set in Stone! Type: Club Chair. Color:Washed Dark Blue Antique Brass. Upholstery Fabric:Velvet. Nothing is Set in Stone! Color: Indigo Batik Gold Leaf Brass. Type: Cabinet. Call for details! Type: Club Chair. Upholstery Fabric:Velvet. Color:Blue Gold. Room:Living Room. Features:Two Thick Cushions. Type: Club Chair. Color:Dark Blue Black. Room:Living Room. 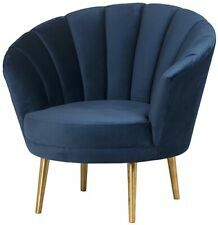 Type: Club Chair. Upholstery Fabric:Cotton. Color:Teal Gold. Nothing is Set in Stone! Type: Club Chair. Upholstery Fabric:Linen. Color:Blue Black. Room:Living Room. Upholstery Fabric:Velvet. Color:Blue Brass. Room:Living Room. Upholstery Fabric:Cotton Polyester Blend. Nothing is Set in Stone! Room:Living Room. 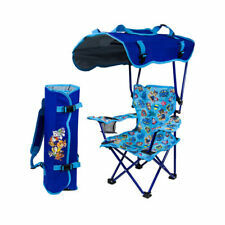 Chair; Elite(Tm); 23 Inch Width X 34 Inch Height X 24 Inch Depth; 250 Pound Weight Capacity; Folding; California Blue; Steel Frame With Polyester Fabric; Without Headrest. Type: Chair. Style: Modern. Color: Blue Black. Weight: 24 Lbs. Nothing is Set in Stone! Type: Chair. Style: Modern. Color: Blue Black. Nothing is Set in Stone! Features: Unique Design. Upholstery Fabric:Velvet. Nothing is Set in Stone! Color:Blue Bronze. Room:Living Room. Upholstery Fabric:Velvet Blend. Nothing is Set in Stone! Features a wide, comfortably padded seat with stunning diamond-tufted velvet upholstery. Type: Bar & Counter Stools. Style: Modern. Nothing is Set in Stone! Features:Include Four Feather Stuffed Pillows. Upholstery Fabric:Cotton Blend. Color:Dust Blue Black. Nothing is Set in Stone! Room:Living Room. Type: Occasional Chair. Color: Navy Blue Gold. Nothing is Set in Stone! 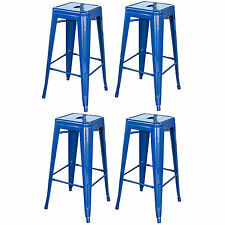 Type: Bar & Counter Stools. Style: Modern. Type: Bar & Counter Stools. Style: Modern. Color: Blue, Black. Type: Occasional Chair. Color: Midnight Blue Black. Style: Modern. 77" W Console table Sideboard Turquoise. 6 drawers / 2 doors. Chandeliers lights scones. All hand painted and naturally antiqued pieces in noble solid woods. Put your order now do not miss this opportunity! A beautiful modern design, the armless Dining chair fits perfectly around any table style. Type: Dining Chair. Upholstery Fabric: PVC. Style: Modern. Color: Blue, Black. Nothing is Set in Stone! Type: Occasional Chair. Color: Navy Blue Black. Style: Modern. Color:Dusty Blue Black. Features:Includes Single Pillow. Upholstery Fabric:Cotton Blend Fabric. Nothing is Set in Stone! Room:Living Room. Type: Occasional Chair. Color: Midnight Blue Gold. Leg/ Seat/ Footrest: Steel, Epoxy/polyester powder coating. SKOG stool. Key features. Powder-coated steel. Wipe clean with a soft cloth dampened in water and a mild washing-up detergent or soap, if necessary. Type: Occasional Chair. Color: Navy Blue Gold. Style: Modern. Type: Dining Chair. A molded polypopylene seat provides comfort and support in this fun, casual chair. Room: Dining Room. Nothing is Set in Stone! Color: Blue, Black. Type: Dining Chair. Room: Dining Room. Style: Contemporary. Color: Teal. Upholstery Fabric: 100% Polyester. Nothing is Set in Stone! Type: Club Chair. Upholstery Fabric:Fabric. Room:Living Room. Type: Desk Chair. Upholstery Fabric:Polyester Blend. Color:Black Blue. Type: Dining Chair. Room: Dining Room. features a wide, comfortably padded seat with stunning diamond-tufted velvet upholstery. Style: Modern. Nothing is Set in Stone! Is a stylish dining chair with a form-fitted upholstery and low arms. Type: Dining Chair. Room: Dining Room. Color: Dark Blue, Black. Style: Modern. Upholstery Fabric: 100% Polyester. Nothing is Set in Stone! The JoJo Dining chair is a fun and casual chair, perfect for your contemporary dining room. Type: Dining Chair. Color: Pale Blue, Black. Room: Dining Room. Upholstery Fabric: Polyester Cotton Blend. Nothing is Set in Stone! Casual and comfortable, the Dining chair is the perfect addition to your modern dining room. Type: Dining Chair. Room: Dining Room. Upholstery Fabric: 100% Polyester. Color: Blue, Black. Nothing is Set in Stone! Color:Dusty Blue Black. Upholstery Fabric:Cotton Blend Fabric. Room:Living Room. Type: Dining Chair. Room: Dining Room. Upholstery Fabric: 100% Polyester. Nothing is Set in Stone! Color: Blue. Upholstery Fabric:Velvet. Color:Teal Black. Nothing is Set in Stone! Room:Living Room.